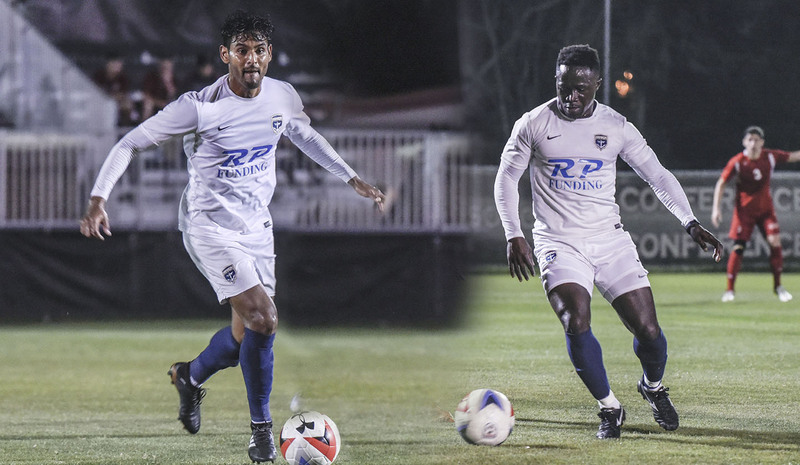 The Jacksonville Armada FC announced the addition of two players to the 2018 roster on Tuesday: striker Alhassane (Ah-la-sahn) Keita (Kay-tah) and midfielder Christian Silva. Former La Liga and Swiss Super League striker Keita rejoins the Armada FC after a stint with Saudi Arabian club Al-Watani during 2017. He was with Jacksonville during the 2015 and 2016 seasons and is the leading goal scorer in the history of the Armada FC. Keita, a 34-year-old who hails from Conakry, Guinea, totaled 3,199 minutes in 43 appearances with the Armada FC. He netted 13 goals on 76 shots attempted in two seasons. He was named to the NASL Team of the Week four times and was honored as NASL Player of the Week once. The former Guinean International initially joined the Armada FC after spending 18 months in the Swiss Super League with St. Gallen. He posted seven goals in 29 appearances in the UEFA Europa League, Swiss Super League and the Swiss Cup during the 2013-2014 season between. He previously played in Switzerland with FC Zurich from 2001 through 2006, and he scored an impressive 58 goals in 131 appearances. He then went on to play over 70 games in Spain’s La Liga and Segunda Division as well as three seasons in the Middle East based in Saudi Arabia and the United Arab Emirates. Midfielder Christian Silva brings experience from the USL and Sweden to Jacksonville. The 28 year old most recently played for Arizona United SC. “Christian has shown to be a very intelligent player and a wonderful technician. He is a bit of a diamond to be honest. He is an underrated player that hasn’t been given the opportunity he deserves, and we are going to allow him flourish and show people what he is capable of,” said Lowry. Silva played college soccer at the University of Tampa and University of South Florida before appearing in USL PDL side Ocala Stampede and USL Pro club VSI Tampa Bay FC. In 2014 Silva moved to Swedish side Karlstad BK where he notched two goals in 12 matches. In March 2015 Silva moved back to the states to play with the Rochester Rhinos. In January of the following year he moved to Orange County Blues FC before being later transferred to Arizona United. More player announcements are expected in the coming days.